Official exporter in China, Korea, Japan. Shipping from Crimea to Vladivostok with further shipment for export. 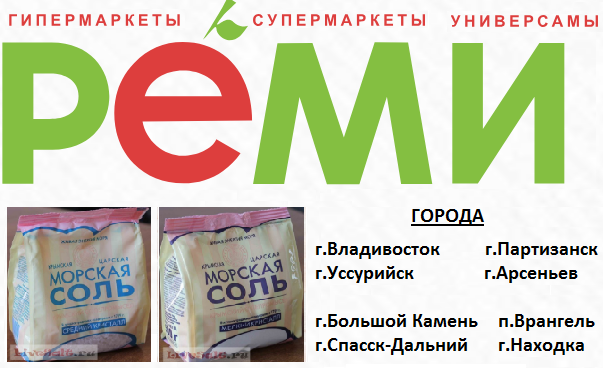 The LIVE SALT Company offers a unique opportunity to discriminating businesses to acquire pink sea salt in its purest form the Black Sea in Republic of Crimea, Russia. The salt extraction first began in the mid-1800s and was soon discovered to have significant health benefits. At the 1912 World Exhibition in Paris, Crimean scented violets made from pink salt received the first place prize. Pink sea salt is a specialty salt unique to this region of the Black Sea obtained by the evaporation of the sea water in the specially designed evaporation ponds measuring 50 hectares, that are connected to the Black Sea. The distinctive feature of the sea salt we offer is the content of natural waxes in the form of glycerin and a complex of carotenoids, such as beta carotene produced by micro-algae, known as "dunaliella sallina". The result is that the salt has a pinkish hue. In addition to the beta-carotene, our salt contains more than eighty other trace elements, including magnesium, iodine, potassium and iron in proportions that provide health benefits and are easy for the body to assimilate. All the trace elements are chemically bonded within the salt crystals. The shelf life of the salt is practically unlimited. The human consumption applications of the salt crystals range from a food additive, to health products, and medicinal uses. The salt crystals also have industrial uses for cosmetics, metallurgy, textiles and other household products. There are significant differences between extracting pure salt from salt mines and our sea salt. As a food additive, our pink salt has health and nutrition value that mine salt does not. The presence of potassium and sodium compounds are necessary for cell development and replacement. Calcium is essential in the formation of cell membranes, facilitates neurotransmissions and blood clotting. Magnesium is important in cellular metabolism and muscle relaxation. Bromine calms the nervous system and is involved in skin metabolism. Iodine is necessary for healthy hormonal metabolism, and known to have an antiseptic effect on mucous membranes. Salt is a main ingredient in salting and pickling fish. Our sea salt is superior in enhancing the flavor of the fish because of its sea origin, in comparison to mine salt. The delicate taste of our salt is due to its mineral content. The result is that it brings out the subtle flavors of food. People dream about strolling along the sea shore and breathing in clean ocean breezes. Our company cannot physically take you to the sea, but we can create a mood for you in your own home. Our natural salt crystals transport your imagination to the Black Sea as you luxuriate in your own bath, Jacuzzi or spa laced with the essence of the sea. When bathing or swimming in a pool of sea salt, you greatly enhance your immunity and health. Swimming in the sea water refreshes and relaxes the skin and reduces fatigues, stress, tension and irritability. It also strengthens the nervous system and increases dexterity. The body is cleared of toxins and the skin is nourished. Taking baths with our sea salt is one of the best ways of balneotheryapy because sea salts has marked physiological effects. The use of natural sea pink bath salts is the easiest and inexpensive way to bring the benefits of a beach resort to your home. In addition, sea pink salt can be used as an additive in cosmetics, creams, shampoos, tinctures, masks and scrubs. The direct effect is to strengthen the nervous system, improve metabolism and strengthen the endocrine system, and significantly improve the skin. Therefore, pink sea salt is perfect for salons and spas. The construction of salt caves is but another application for our pink sea salts. The Company manufactures bricks of pink sea salt to be used for salt caves and salt rooms which are used to treat respiratory problems like asthma and bronchitis, in addition to neurosis, heart disease, musculoskeletal pain, allergies and skin problems. It is with the improvement of the respiratory function that the improvement of several health problems can be treated. Sea salt increases glucocorticoid secretion and lipid metabolism. The use of compressed sea salt, which has high purification qualities, allows the indoors to be permeated with salt particles without the use of sprays. Measurement of air ionization in salt chambers indicates that the ion concentration is equal to the air along sea coasts. We are able to transport our product by train or ship. We shall provide all shipping and clearance documents for export. For supply information, prices and terms of contract please contact us. Thank you for your consideration and we look forward to doing business with you!